Synopsis: In London, in 1887, prominent physician Henry Jekyll incurs the ire of his older colleagues because of his experiments and views on the possibility of separating the good and evil aspects of man's nature. Hanry is deeply in love with Beatrix Emery, the daughter of Sir Charles Emery, who likes Henry, but is concerned over his radical ideas and open display of affection for Bea. Henry throws himself into his work and has enough success experimenting with rabbits and guinea pigs to make him confident that the serun he has developed will work for humans. Hoping to try the serum out on Sam Higgins, a man who went mad after being in a gas works explosion, Henry rushes to the hospital but discovers that Higgins has just died. Henry then decides to take the serum himself and is briefly transformed, in both thought and countenance, into an evil alter ego. 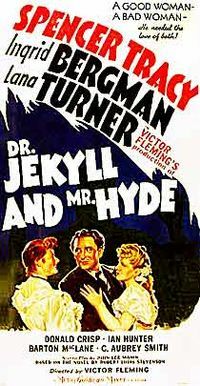 After taking an antidote to turn himself back to normal, Henry tells his butler, Poole, that strange voice he heard was a "Mr. Hyde".